Definition at line 2216 of file CCopasiXMLParser.h. Definition at line 2224 of file CCopasiXMLParser.h. 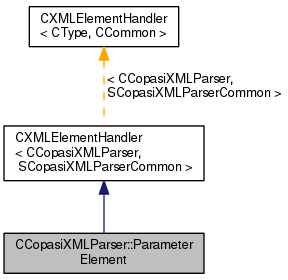 Definition at line 9008 of file CCopasiXMLParser.cpp. 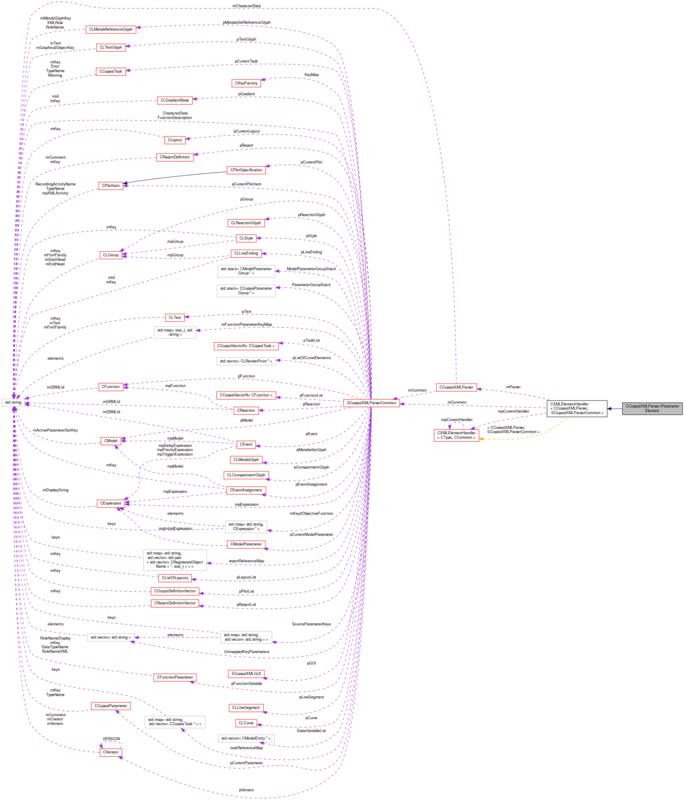 Definition at line 9013 of file CCopasiXMLParser.cpp. Definition at line 9144 of file CCopasiXMLParser.cpp. Definition at line 9016 of file CCopasiXMLParser.cpp. References CCopasiParameter::BOOL, C_FLOAT64, C_INT32, CCopasiParameter::CN, CCopasiParameter::DOUBLE, CCopasiMessage::ERROR, CCopasiMessage::EXCEPTION, CCopasiParameter::FILE, CKeyFactory::get(), CCopasiParameter::getKey(), CCopasiObject::getKey(), CCopasiParameter::INT, CCopasiParameter::INVALID, CKeyFactory::isValidKey(), CCopasiParameter::KEY, SCopasiXMLParserCommon::KeyMap, CCopasiXMLParser::mCommon, MCXML, CExpatTemplate< CExpat >::mParser, SCopasiXMLParserCommon::pCurrentParameter, CCopasiParameter::STRING, strToInt(), strToUnsignedInt(), toEnum(), CCopasiParameter::UDOUBLE, CCopasiParameter::UINT, UNKNOWN_ELEMENT, SCopasiXMLParserCommon::UnmappedKeyParameters, and CCopasiParameter::XMLType.